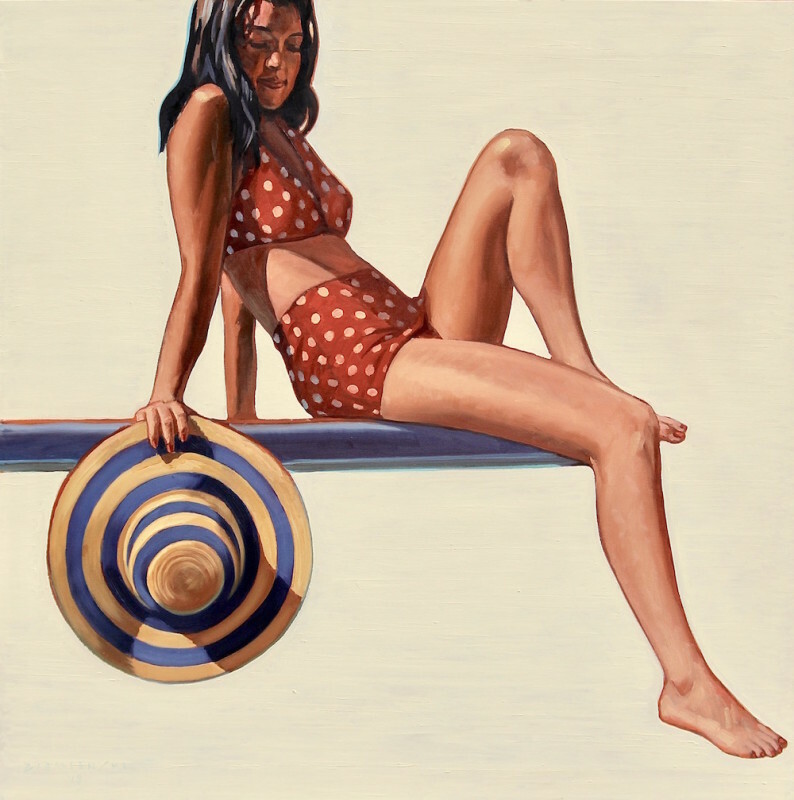 Altamira Fine Art Scottsdale is pleased to welcome California artist Dennis Ziemienski for a solo exhibition, "Poolside". 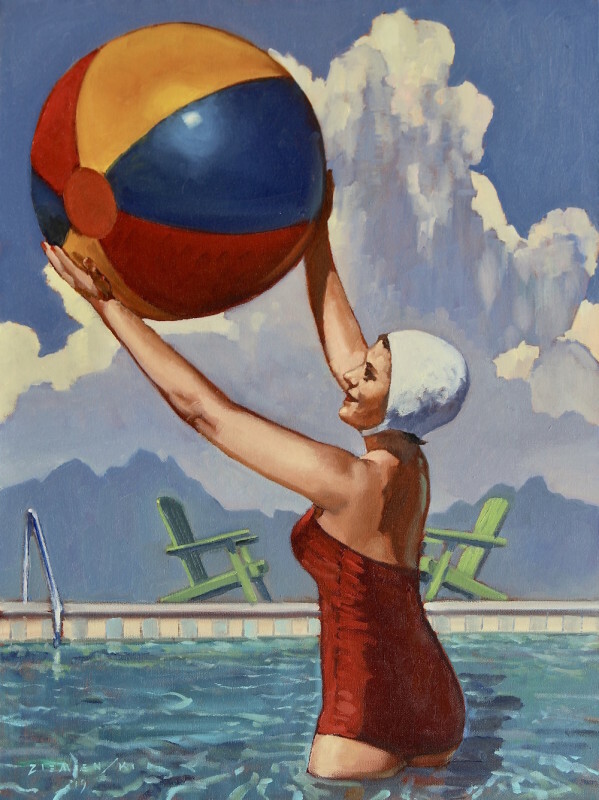 Vintage bathing caps, diving boards, neon signs and classic cars will set the scene for this stylish show. Join us Thursday, March 21st, from 6:30-9pm for the show reception during ArtWalk on Main Street. The shape of water, sculpted by domesticity into pools and pastiche. The way water lures figures, and inspires fun. The reflections produced by pools—of sky, of nostalgia. 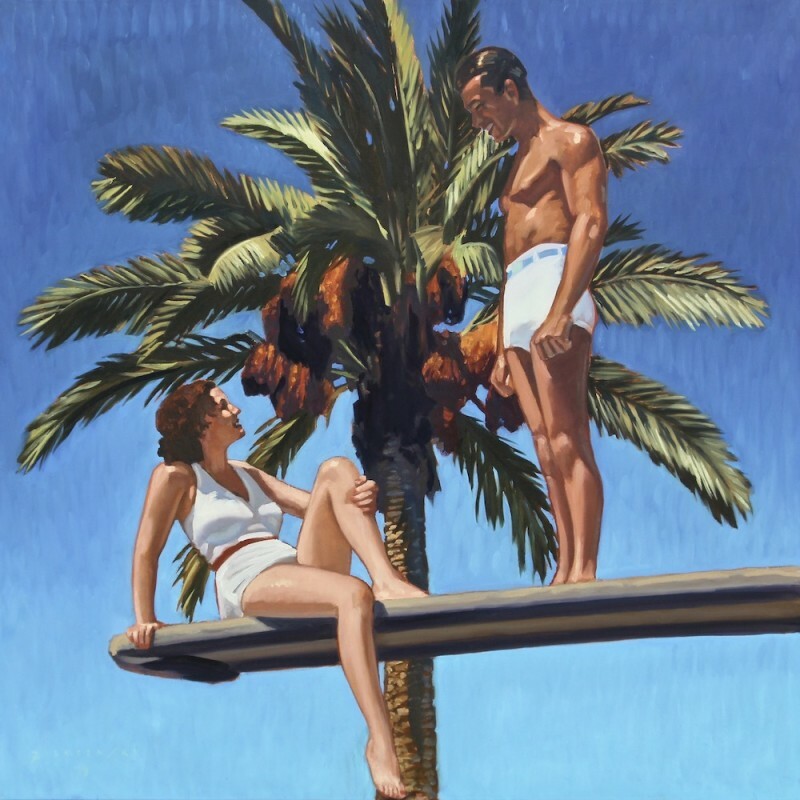 In his latest series of Western paintings, Dennis Ziemienski ventures beyond majestic landscapes into retro scenes set poolside. 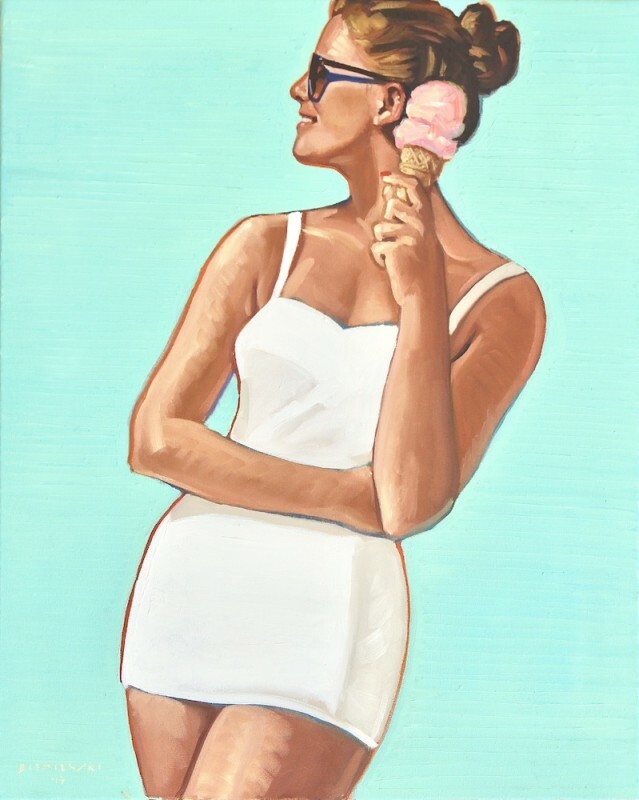 Deploying his signature saturated palette, he casts figures rich with period details: demure and decorative swimsuits, canary bathing caps, cat-eye frames. Against bluebird skies, languid waves, and quintessential palms, couples cavort, women float, divers plunge, and neon signs cue swimming occupancy. 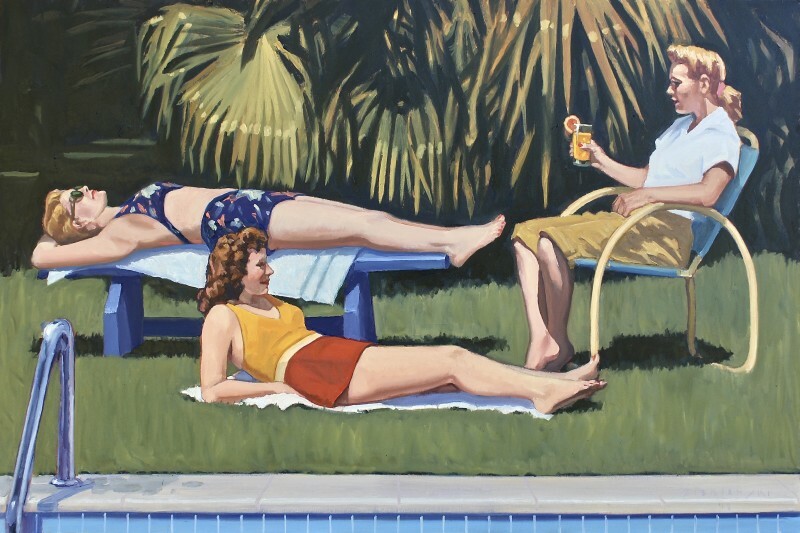 These are scenes of relaxed recreation, contagious in their sunniness. A buoyancy felt by all in proximity to his paintings. Water often provides the plot line for his paintings. 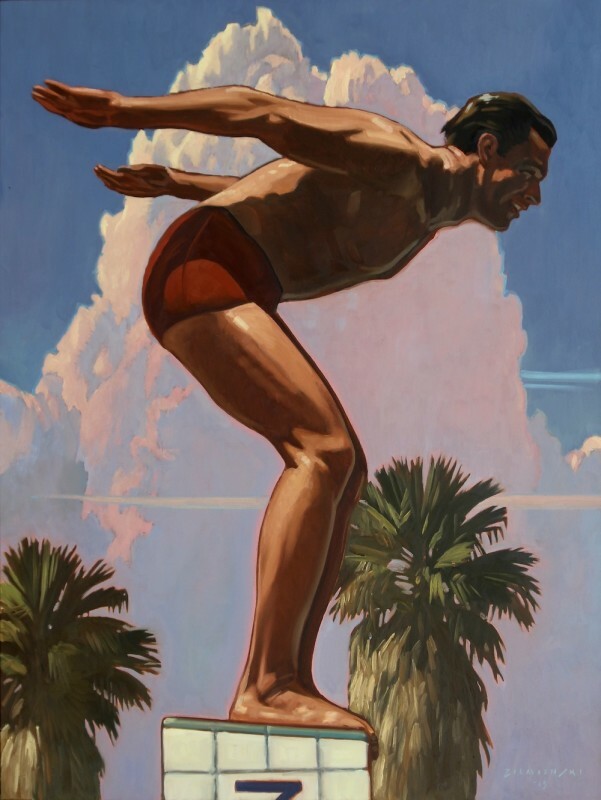 Whether considering a thirsty cowgirl or sun-soaked swimmers, water pulls his figures forward from the past into the present, from historical iconography into contemporary nuance. Attuned to telling details, he mines familiar storylines for fresh insight. 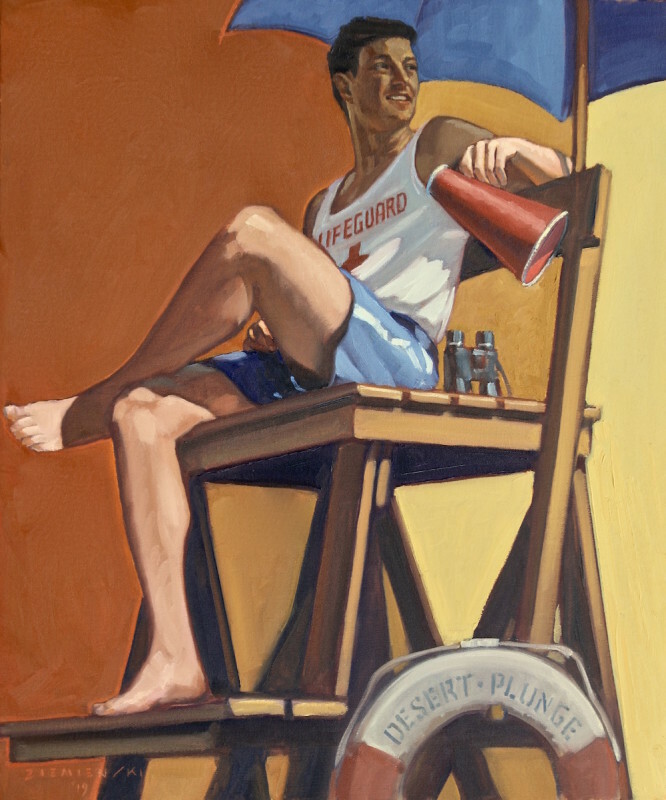 With each waterborne composition, he invites viewers to wade in and reflect. Pre-sales available. Call 480-949-1256 or email az@altamiraart.com for details. Dennis has won numerous awards and has had commissions by Time-Life, Levi-Strauss, Rolling Stone, and The New York Times, in addition to Super Bowl XXIX, the 2006 Kentucky Derby, and the Sonoma Salute to the Arts. Churchill Downs selected Ziemienski as the Official Artist of the 2006 Kentucky Derby. 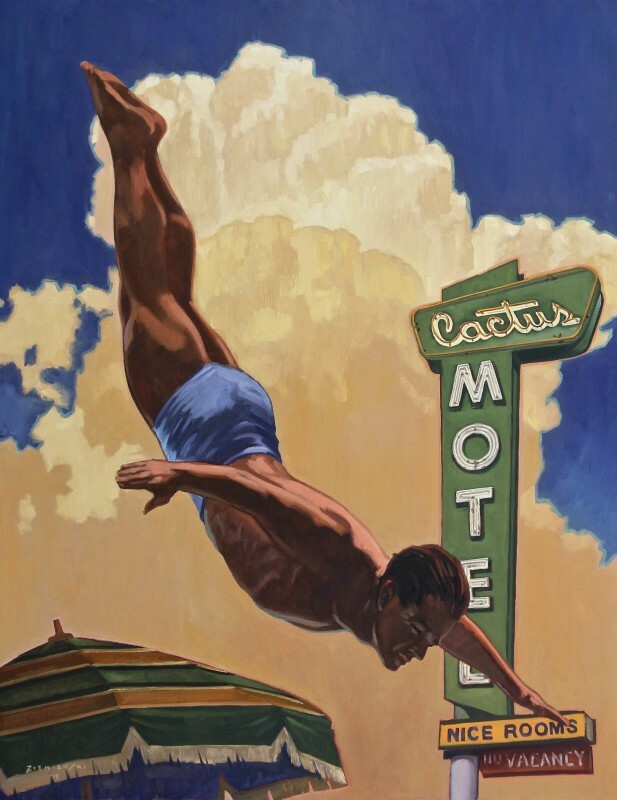 His painting ‘Tall Drink of Water’ was added to the Whitney Western Art Museum’s collection as the recipient of the William E. Weiss Purchase Award at the 2015 Buffalo Bill Art Show and Sale. 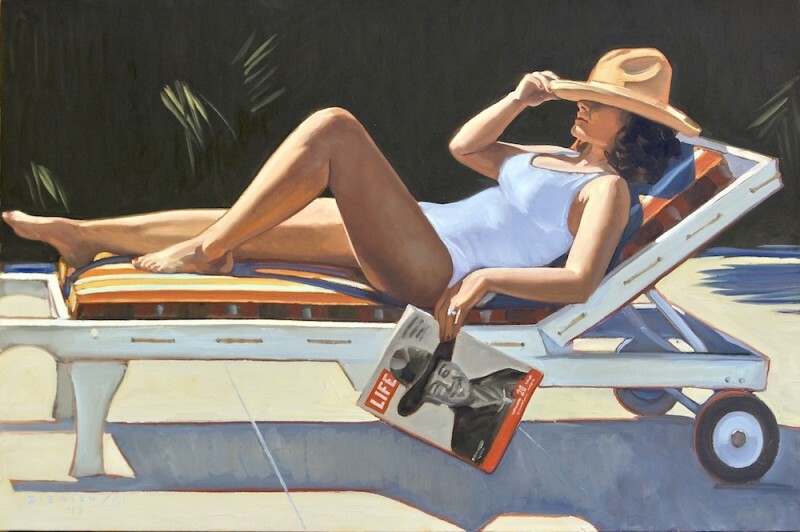 Dennis was the 2018 featured artist for the Jackson Hole Fall Arts Festival.